BCG is the specialist of Horizontal Directed Crystallization (HDC) method, also known as Bagdasarov's method. This method is especially suited to obtain large plates of very high quality of homogeneous single crystals. BCG’s chief scientist leader is professor Kh. S. Bagdasarov himself, who in 1964 invented this new method to grow refractory single crystals. This method was designed in order to grow large-size, Nd-doped, highly-uniform, YAG laser crystals. This is also highly applicable for the growth of Er:YAG laser elements. With the help of the Bagdasarov method, synthesis of large and especially large plate form refractory leucosapphire single crystals was also becoming possible. BCG is specialized in the growth of various large sized (130x130x25 mm3) and high-optical-homogeneity laser, optical crystals and semi-conductor single crystals. 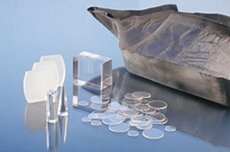 BCG’s technique provides perfect optical sapphire crystals (chemical purity 99,995%, defects-free and with any orientation). These crystals can then be cut and grinded in the form of wafers, rods, large windows and prisms. 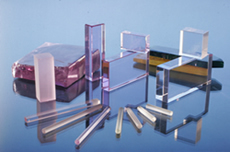 These crystals have excellent transparency over wide spectrum (from UV to IR) and precise orientation of optical axes. Our products include a wide range of single crystals: YAG, Nd:YAG, Er:YAG, Yb:YAG, Sapphire, Si and a few others according to specific requests. Our latest research programs produced a new type of Nd:YAG crystal with emission property two times higher than the one from conventional Nd:YAG crystals. BCG’s products are suitable for a broad range of applications, from Solid Lasers and precision optics to semiconductors, High-Brightness LEDs and elements used in photovoltaic industry. Under the leadership of the world reknowned crystallographist Kh. S. Bagdasarov, BCG has prominent Armnian and Russian technologists, each having more than 20 years of crystal growth experience. BCG emphasizes high quality of products by implementing strict quality control measures throughout all production processes and stages.